Harmony offers a simple, graceful design that will be a classic for years to come. The collection includes a sophisticated gas fire pit with drop in porcelain top. Sturdy, non-rusting cast aluminum frames add longevity and elegance to tables and chairs. Dining and deep seating options blend in seamlessly with your patio, veranda, or poolside. Generously proportioned cushions are covered in easy to clean, durable, and all-weather outdoor fabrics. Harmony will bring lasting elegance to your outdoor living space. 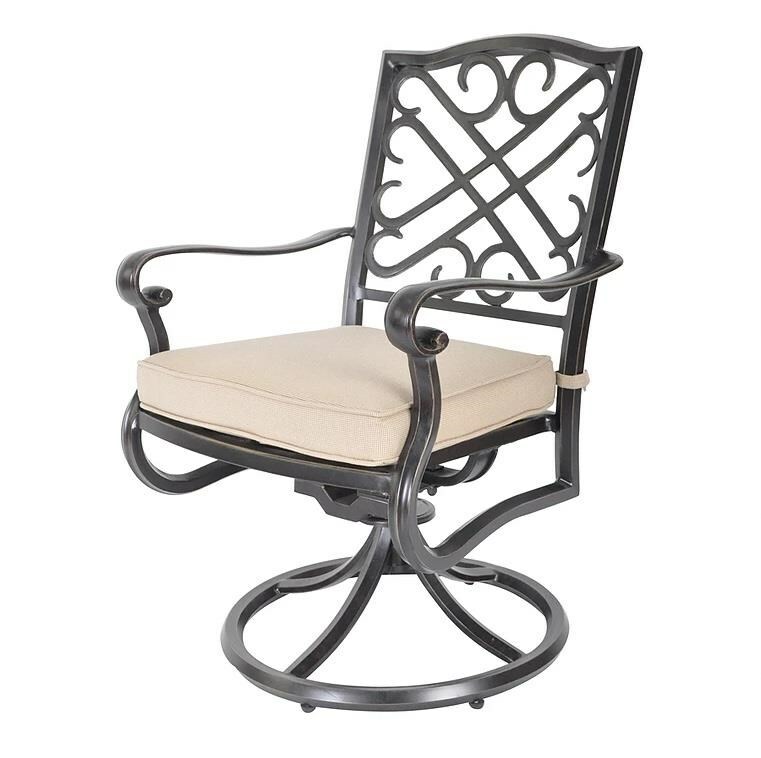 The Harmony SWIVEL ROCKER by Veranda Classics by Foremost from Boulevard Home Furnishings. We proudly serve the St. George, Cedar City, Hurricane, Utah, Mesquite, Nevada area. Product availability may vary. Contact us for the most current availability on this product. The Harmony collection is a great option if you are looking for Casual Outdoor Furniture in the St. George, Cedar City, Hurricane, Utah, Mesquite, Nevada area.